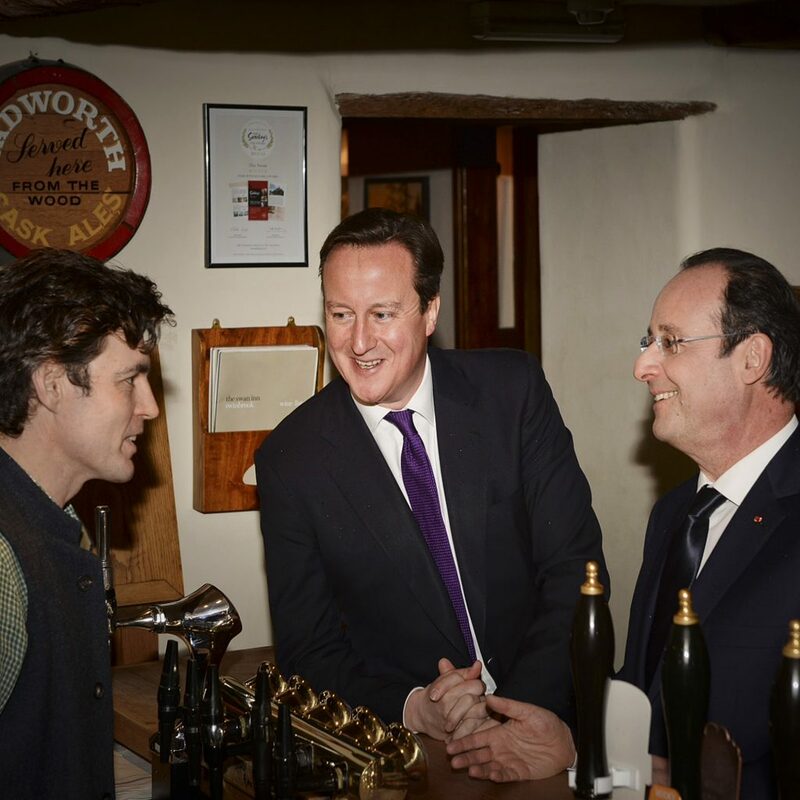 The Swan Inn | PM David Cameron & President Hollande. Pub Summit Oxon. 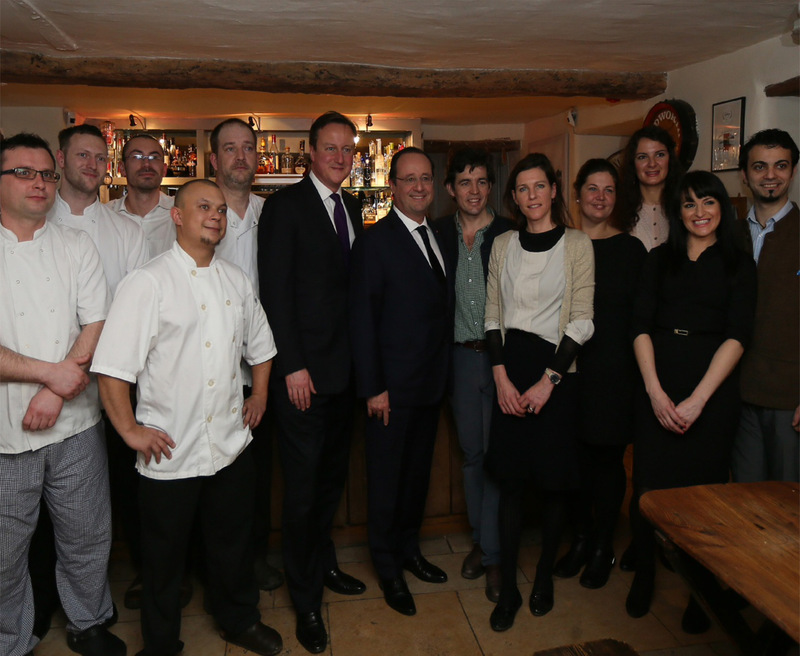 On Friday 31st January we were both delighted and very proud to host lunch for our Prime Minister David Cameron and President Hollande of France. After a morning discussing EU treaties and unmanned drones, Francois Hollande and David Cameron had a change of pace with a pub lunch in Oxfordshire. After the serious business of summit talks, the two men moved on to the Swan Inn in Swinbrook for what was described as a working meal. The Cotswolds pub, owned by the Duchess of Devonshire, dates back to the 1880s. 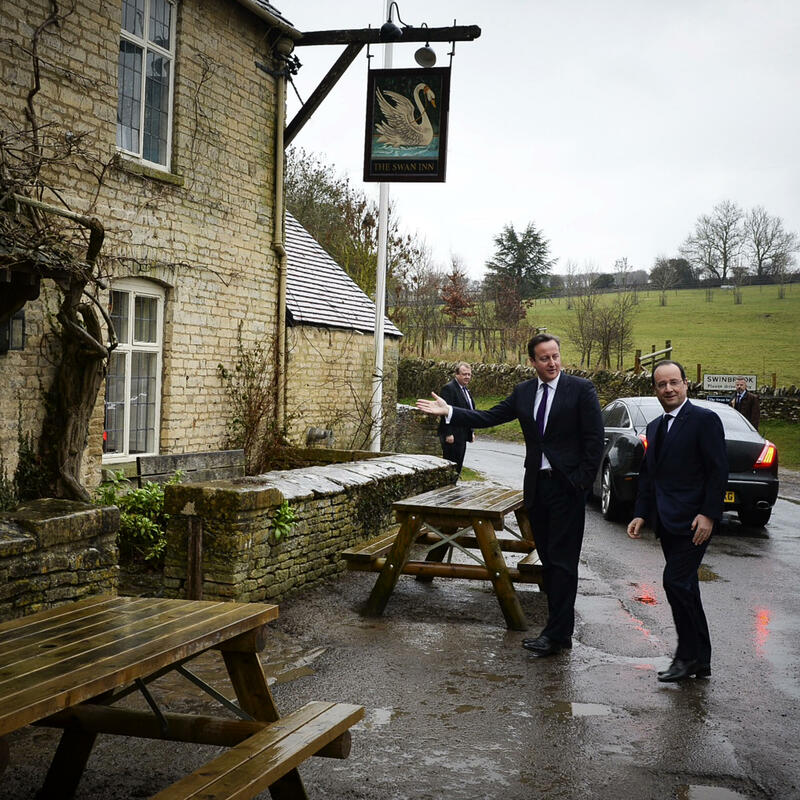 Mr Cameron is following in the lead of Tony Blair, who once took President Bush to a pub in his constituency. Friday’s lunch was the culmination of a one-day France-UK summit at RAF Brize Norton, about five miles away. On its website, the Swan Inn describes itself as a “boutique Cotswolds inn” in an “idyllic location” which is “the perfect place to relax, socialise and unwind”. The two leaders and close colleagues enjoyed a menu of potted shrimps, rainbow trout and apple crumble. Before the meal, the two leaders briefly stood at the bar discussing trade with publican Archie Orr-Ewing. He told them that business was “much better” than last year and that he had escaped the flooding that had affected many other areas.